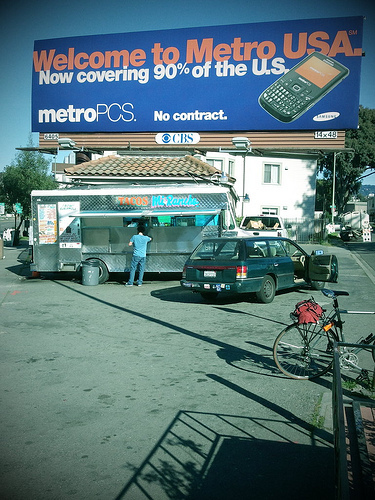 MetroPCS targets big city markets and keeps their prices low by only using their own networks in dense urban areas that are cheap to serve. They have been adept at securing roaming agreements to use competitor’s networks in other areas, so their cost to serve 90% of the country is a fraction of what it costs the larger companies. In fact, last year it cost the company only $18.49 a month to serve the average customer. That lets MetroPCS cut its rates to just about half what AT&T and Verizon charge, only $40 per month (including taxes) for unlimited talk, text, and Web, and about $50 per month for the same plan with a 4G smartphone. That’s a pretty impressive profit margin. And since AT&T and Verizon don’t release their cost per customer, but we can bet it’s a lot higher. This highlights a couple of important points. First, obviously it’s a bit of a simplification to say that there are only 4 wireless carriers in the United States. There are, in fact, more than a dozen wireless carriers offering service in at least parts of the US. Three or four of them operate their own networks in parts of the country and have a non-trivial number of subscribers. We can certainly hope that this merger will cause MetroPCS to position itself as the new T-Mobile, catering to customers who care more about low prices and freedom than comprehensive coverage. Second, this provides some evidence that cellular carriers are capital-constrained more than spectrum-constrained. It sounds like MetroPCS’s strategy is to save money by only building out its network in dense areas. I don’t know if that means it only has spectrum licenses in those dense urban areas, or if it has licenses elsewhere that it’s under-utilizing. On the other hand, this article suggests at least one important way the merger is likely to be bad for MetroPCS: it depends on the larger carriers for roaming access. Presumably consolidation increases the pricing power of the larger carriers and makes it harder for MetroPCS to rely (some might say “free-ride”) on the infrastructure of its larger rivals. The fundamental question, which I don’t know enough about the spectrum market to answer, is how much MetroPCS and other smaller carriers could grow before hitting a hard brandwidth constraint. If they only have enough bandwidth to serve a fraction of the customers the major carriers do, then it’s hard for them to serve as effective competitors. But it’s also possible that their networks are small because it’s just too expensive to expand them, in which case the argument for blocking the merger would be much weaker. One problem is that phones need to be specially flashed to MetroPCS firmware to work on their network. It’s a bit puzzling why they aren’t bending over backwards to make it easy for Sprint or Verizon customers to use their phones with MetroPCS, and I suspect this is at least partly because it would endanger their roaming agreements with S & V.